Here's one we didn't see coming: CFMoto, a Chinese manufacturer, has rung the bell hard with the intro of a couple of very credible performance off-road vehicles and have leap-frogged over the Japanese in this red-hot category. 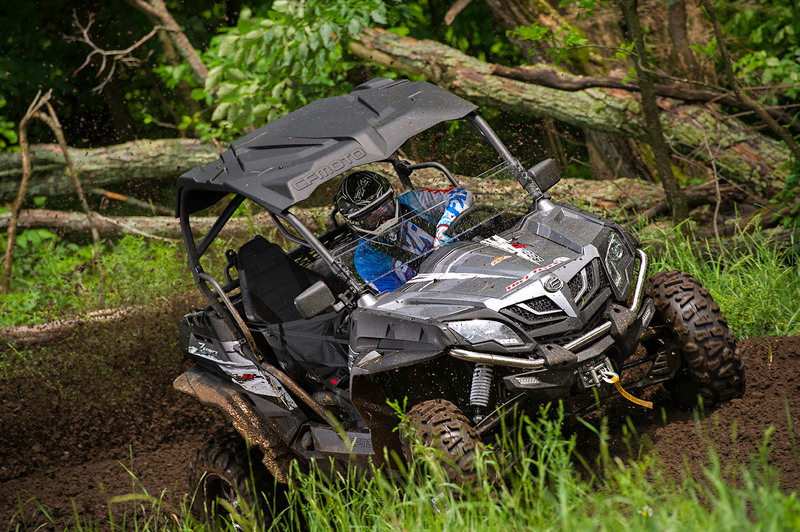 The Snyper (in Canada) and Z-Force (in the USA) are performance off-road vehicles of the ilk of the RZR, Maverick and Wildcat in that they are primarily focused on sport riding as opposed to utility function. How serious are these CFMoto models? Pretty serious, really. The 600 uses a 594cc single with EFI and although it has emulsion hydraulic shocks at all four corners, there's plenty of suspension travel and ground clearance. At 52-inches wide it meets the needs of trail riders and with classy supportive seats and very cool aluminum wheels just plain looks great. We've observed fit and finish to be very good on the 600. Just arriving in Canada while you're reading this is the Snyper 800EX. Although we expect it to be available in the USA eventually, so far we're not sure when. The 800 uses a big 800cc EFI V-twin and comes with Elka gas shocks all around. It looks very much like the 600 featuring double wishbones front and rear and a CVTech drive system, but is about 8-inches wider. Full selectable 4WD is standard. We'll be testing the 800 EX soon and are anxiously awaiting the opportunity. We're pretty impressed with what we've seen so far and are even more impressed this company has covered the bases so well and so quickly in the performance marketplace.